It is understood that with the implementation of ATRS, baggage screening would become automated and the deployment of CISF for the same would no longer be required. 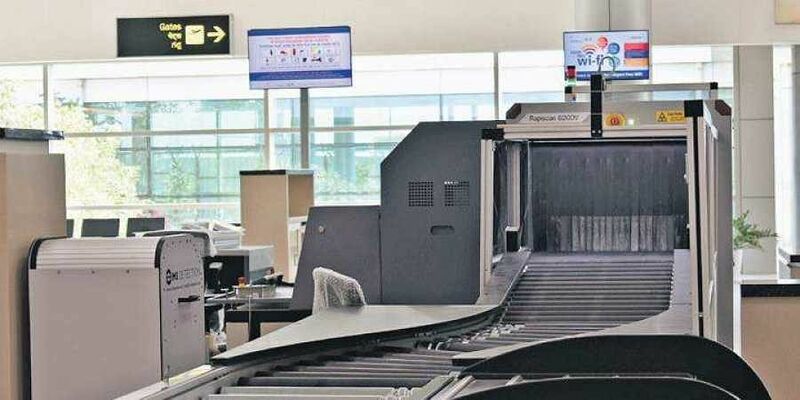 HYDERABAD: Rajiv Gandhi International Airport Hyderabad is all set to introduce the Automatic Tray Retrieval System (ATRS) that will minimise the rush during check-in and security check. It was first introduced at Kempegowda Airport, Bengaluru and had helped the passengers in avoiding long queues during a security check. RGIA has also planned to install India’s first GHIAL Facial Recognition system as part of the digiyatra scheme. It is understood that with the implementation of ATRS, baggage screening would become automated and the deployment of CISF for the same would no longer be required. The system has been designed to accelerate the processes of human and carry-on luggage screenings and it is understood that the system would complete the whole process in 25 seconds and if a bag with a suspicious item arrives, the system would divert it to the ‘reject line’. The system would also return the empty trays to the preparation area. At present 5 ATRS machines have been installed in the airport. The latest facial recognition system will have facilities for the passengers to input their travel details, along with personal details, into the kiosk with a 360-degree photograph, which will be accessible for the officials at the security check and the same will also be installed at the departure and boarding gate. Once the system accepts the picture and details, a unique QR Code will be generated. This QR code will be unique for each and can store the details of the passenger permanently for future trips in and out of the city. The trial version of the facial recognition system has already been installed for the ground staff.